Create beautifully detailed nail art every time! 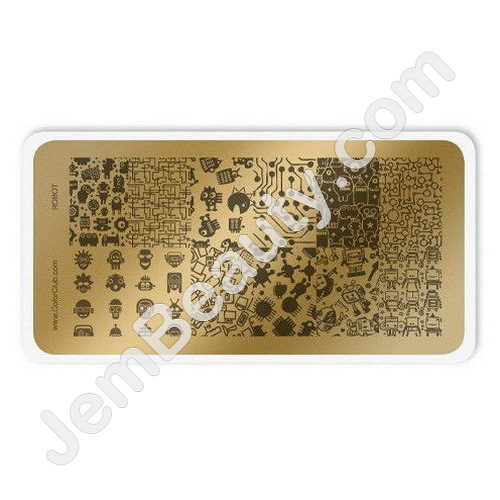 Color Club Nail Art Stamping Plates make nail art easy with unique stamping designs. Layer, mix and match for limitless combinations. Puzzle Plate includes various puzzle designs. Be sure to be quick so that polish doesnt dry. Once its dry the stamper cant pick up. Apply the stamper directly down onto the plate with a good amount of pressure. And pull away fast as well. Dont press and hold. Same goes for when applying to the finger. Clean the residue from the stamper with tape. Dont use acetone as it can eat away the surface.